(205) 386-8038For Fast Service In Birmingham, AL Call Now! Welcome to Access Locksmith Birmingham AL! Locksmith Birmingham AL is your local, reliable local locksmith that you can depend on 7 days a week, 24 hours a day. 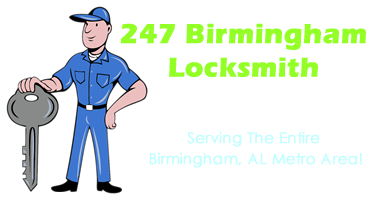 We will meet any locksmithing services you might need in Birmingham, Tuscaloosa, Hoover, Trussel, Bessemer and the surrounding communities. Our highly trained technicians are certified members of the Associated Locksmiths of America and are more than equipped to handle all your Residential, Commercial and Auto Locksmith projects and needs. We understand that the service we provide involves the safety and security of our customers. Your safety and the security of your family and your belongings are our top priority. Our goal is to provide our customers with the peace of mind that all of our services will be done correctly, efficiently and affordably. Getting locked out of your car can leave you feeling vulnerable and desperate, especially if it happens late at night, during bad weather or at an unfamiliar location. This situation can easily turn from precarious to dangerous. You don’t have to deal with this situation on your own. Attempting to unlock your car could damage your car lock and could be quite expensive to repair. Fortunately, Locksmith Birmingham AL is available to you 24/7. We are just a phone call away. You can reach us at 205-386-8038 and we will be there within minutes to get you back into the safety of your car and on your way home for a price that will not break the budget. Whether you need Birmingham car unlock services, rekey service or a business locksmith, Locksmith Birmingham AL is the right company to meet all your Birmingham and Tuscaloosa needs. From unlocking your car door to servicing your safes and control systems, Locksmith Birmingham AL has the experience, the state of the art equipment and the knowledge to provide you the highest quality of service you deserve at a reasonable price. Give us a call at 205-386-8038 to speak with a Birmingham locksmith today! For non-emergency inquires, feel free to call or use the following form to send us an email. We will be get back to you soon. Why Access Auto, Safe and Lock? We serve all of Jefferson County Alabama including: Birmingham, Homewood, Mountain Brook, Fairfield, Vestavia Hills, Irondale, Hoover, Pleasant Grove, Gardendale, Hueytown, Bessemer, Trussville, Helena, Leeds, Pelham as well as Tuscaloosa County. Give us a call at 205-386-8038 for GPS Locksmtih Dispatch.